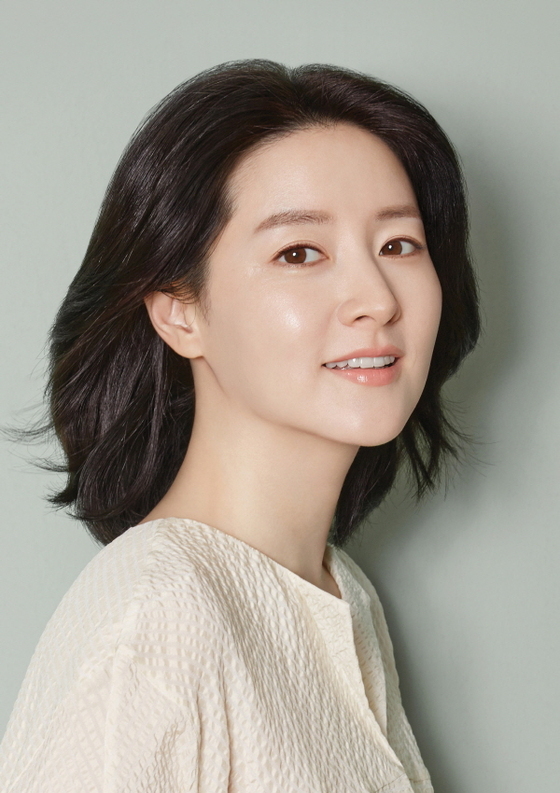 One of Korea’s sweetest actresses, Lee Young-Ae, casts aside her popular image to play the enigmatic Lee Geum-ja, Sympathy for Lady Vengeance’s angel of vengeance Lee Young-Ae’s first substantial role came in 2000, when she co-starred in Park Chanwook’s JSA: Joint Security Area. The serene young actress brought just the right amount of selfconfidence to her role as a Swedish army major (of Korean descent) investigating an armistice threatening scandal on the border between North and South Korea. But Lee achieved fame throughout all of Asia later, first when she starred in Hur Jin-ho’s One Fine Spring Day as an attractive but selfish divorcee, in a showcase for her special charms and quietly nuanced acting. In 2003, she starred as the cheerful and strong character Jang-geum in the hit TV drama ‘The Jewel in the Palace’, which drew the highest audience ratings for that year for Korean television and went on to become an international success. Lee starred as a simple, if self-possessed young countrywoman who becomes a cook to the imperial household during the Chosun dynasty. Cast out of the palace thanks to the machinations of a ruthless rival, she later returns as the first woman to become the royal family’s physician. Sympathy for Lady Vengeance is thus both a challenge to Lee’s talents and to her fans’ preconceptions of her. Based on the film’s overwhelming critical and audience responses, the challenge was well met. tamer Jun 12 2018 3:06 am 'A Jewel in the Palace' is the first Korean film I watched and I am impressed much. Performance is very good but the most impressive thing for me is to put an aim in your life, which nobody would succeed, and to try to reach it for throughout life. This is my favorite. Tiffany Cheng Feb 27 2018 3:06 pm She has been my favorite Korean actress since I was a child until now because of her performance on Dae Jang Geum. Plus, her charitable action towards the Taiwanese pregnant woman made me like her even more. Kasuni Dec 22 2017 1:36 am You are my favourite actress.your beauty, performance are all amazing.anyone can't beat to you. After a very long time still you look younger and prettier. Dae jang geum is my favourite drama series that I ever had watched. It's a very heart touching drama. Because not only the story but also your performance. I wish you all the success. gerty west Aug 29 2017 3:31 pm No one can ever outshine you! Such a beauty! howitis Aug 08 2017 9:55 pm It's been so many years and Lee Young Ae is still so very beautiful. topaz May 03 2017 5:41 am Lee Young-Ae is a charismatic yet suave actor that has made great strides in their career and deserves much praise for their achievements. I wonder how they maintain their youthful look. Nonetheless, Lee Young-ae is a favourite in my opinion from many of their performances. Keightie Mar 03 2017 5:17 am Watching Saimdang. Im wondering why I cant seem to fall in love with her the same way as Jewel in the Palace. Im thinking if its because of her acting, the story or the role just didn't suit her. Hussain Feb 23 2017 8:12 am very beautiful! john Feb 12 2017 1:58 pm amazing beautiful! Shosh Feb 05 2017 1:25 am SAIMDANG is great. Watch til episode 2 before you write it off. Momo Feb 03 2017 5:10 am After watching the new drama, Saim dang, for half an hour, I had to stop. I can't stand this actress and the plot. Her role and the plot are too silly and ridiculous for word. I think my days of watching korean drama are over!!! Rima Jan 31 2017 1:51 pm Has she even aged a year?! Amazing! jessy Jan 28 2017 3:21 am She is the goodest.. So beautiful. The best thing that she choice Saimdang for her comeback. Dump Jan 27 2017 4:36 am Her face is piece of beautiful art. wow. Dreamhigh Jan 26 2017 2:48 pm she is 46 now! thornnnn Jan 24 2017 1:35 pm Wow Lee Yeoung Ae looks like she has not aged a day. I just watched an advert for her new drama, Saimdang, Light's Diary. I am so excited to begin watching her new drama! Dae Jang Geum was my first kdrama. It is the one i judge all others by :) Thank you for once again sharing your magic with us! yuewe Dec 16 2016 7:53 pm good luck to your new drama Saimdang Light's Diary. iamlel Nov 30 2016 9:24 am I'm gone crazy after reading the notes. They made this drama for 10 months, I don't know if its long enough or not since I don't have basic knowledge about making dramas. And they're going to release it 7 months after the finished date. Britney Oct 30 2016 7:27 pm excited to watch your new drama Saimdang. Im sure its UNDERTAKER KOREAN DRAMA 2017.
yui Aug 30 2016 9:06 pm my favorite actress in korea. she's still pretty. welcome back to new drama Saimdang,Light's Diary. wishing you and to your new drama more success like Jewel in the Palace. shakira Aug 30 2016 8:04 am im waiting for your new drama SAIMDANG. can't wait to see your good acting again. victoria Aug 29 2016 2:03 am welcome back for new drama ''saimdang'' can't wait to see you again. Mac Jul 27 2016 8:57 pm Can't wait to see you this October. NMM Akeel May 08 2016 9:20 pm i am so excited to your acting. you are the most beautiful girl in world. i like Hope to meet you one day. Jeluz Apr 06 2016 3:09 am I saw her recent photos, oh my gosh, she's still a beauty!! she doesn't age!! sheli Feb 01 2016 3:47 am welcome back !!! i like you and i miss you. im so excited to your new drama Saimdang the Herstory. i will watch it definitely !!!!! Chipo Mutibvu Oct 26 2015 7:13 am Lee you are an awesome actress and I am a huuuuuuuuuuge fan. Hope to meet you one day. You are hot too. Keep it up!!! LYA's big fan Jun 08 2015 7:07 am She is very very very beautiful girl. She is the most beautiful girl in world. Angel unni LEE YOUNG AE.Beautiful drama dae jang geum.she has got very prize.Saranghae unni. Behnaz May 14 2012 5:20 am She is really one of the best korean actress, I love her for ever. Also I congratulate her for her babies It's very good news. Hope she and her family be very happy in their life and also hope to see more films from her. Irene Feb 16 2012 1:12 am Her twins are 1 years old by now, this is from sangchusan.blogspot.com: The 40-year-old actress surprised her fans when she announced that she got married to her Korean-American boyfriend, Jung Ho Young, on Aug. 24, 2009 in Hawaii. Lee was able to keep her love life secret and no announcement was even made regarding the engagement or the wedding. The wedding ceremony was held in the US to keep it private. She even kept her pregnancy a secret. It was only last January that it was announced that Lee was pregnant and was expected to give birth this month. Lee catapulted to immense fame when she starred on “Jewel in the Palace” (aka “Dae Jang Geum”) in 2003 as a royal doctor. The period drama became a hit in many countries including the Philippines. “Jewel in the Palace” was credited for popularizing hallyu, or the Korean Wave, in Asia. After the series ended in South Korea, Lee starred in the film “Sympathy for Lady Vengeance” in 2005, which earned her best actress awards. However, Lee retreated to her private life after the film and has not made any drama or movie until now. Instead, she focused on her studies, earning a master’s degree at Joongang University and then enrolling in a doctoral degree at Hanyang University in South Korea last year. p Sep 01 2010 3:50 am She's not an actress anymore? What happened?